For years, marketers have been crafting their website content to be the best answer their personas are looking for. 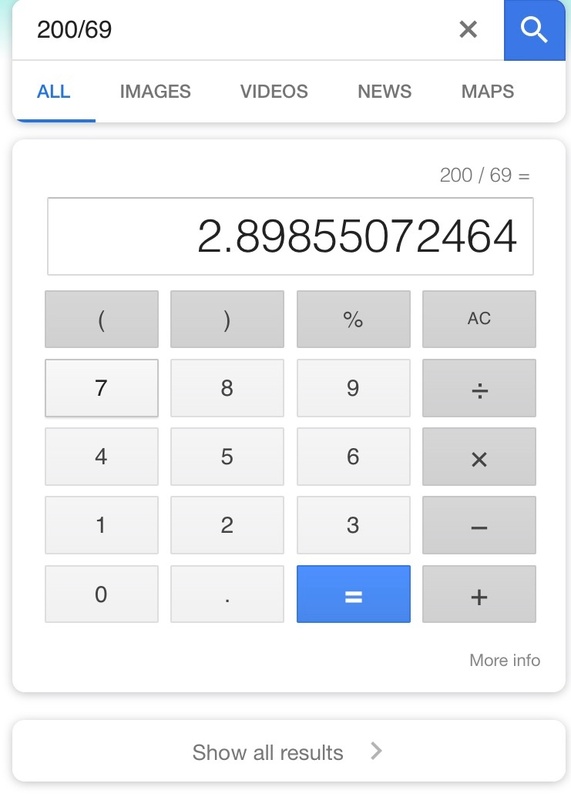 If done successfully, you were rewarded by Google in your position rank, and even ranking zero if they had found you truly provided the best answer. However, is that strategy going to be effective in the long term? Over the past year, Google has continued to roll out updates to their algorithm and search experience that have thrown marketers through a couple of loops when it comes to their SEO strategy. 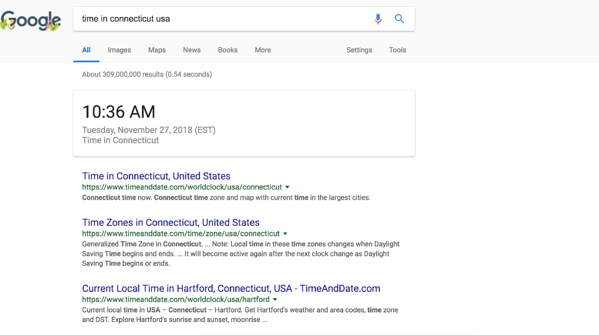 Yesterday, Google rolled out an update that will show no search results if they’re confident they can provide the best answer within the search engine. Unlike ranking zero which highlights one result above the rest, this update delivers just one sourceless answer, without showing any of the others (including ads). Currently, this feature is limited to very basic searches with definitive answers like date & time, calculations, and basic conversions. It is also currently limited to mobile searches only, while desktop will still give you a full page of search results. Of course, Google does not entirely block the user from seeing all results, they can click “Show all results” if they want to see the will page of search results beyond the snippet. Google had tested showing zero search results earlier this year but decided after just a few days to pull back this feature due to negative feedback from marketers and SEO professionals who had concerns with how the update would affect their organic traffic. In some cases, these concerns were valid. Showing zero search results led to some brands not showing up for their own name. 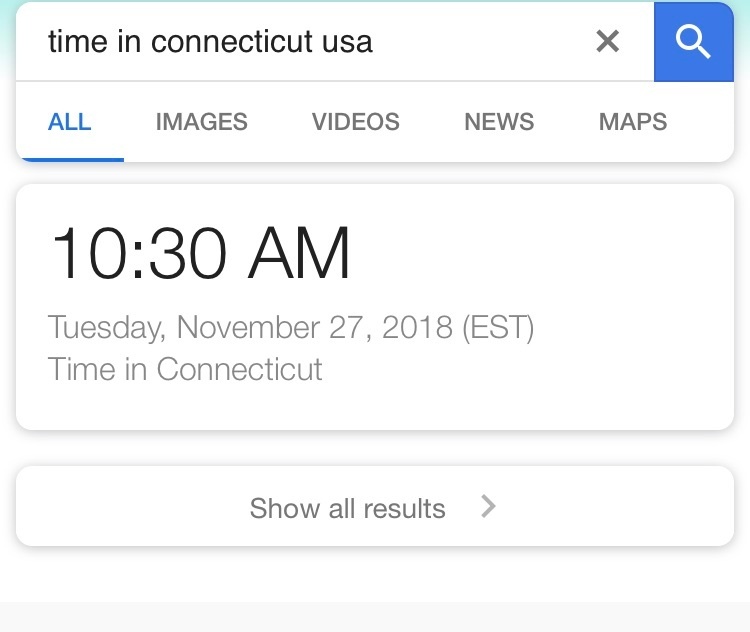 For example, if you searched “time” you would get the current time in your area, suppressing results like Time Magazine (Google fixed this issue in their reboot of this feature). 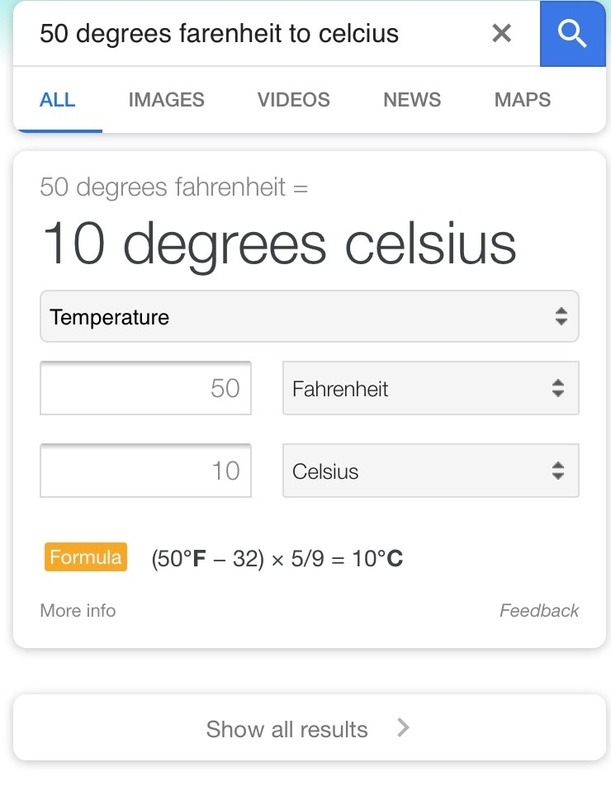 However, for brands whose names or products may be formatted like mathematical equations, it will still suppress search results for those terms. Additionally, some queries that include basic terms could end up in confusing, unwanted results. For example, dating sites or content centering around dates in a particular location suffers from this update as well. The user could be looking for a dating site or ideas of where to take a date in London, but it will show the current date & time for that location. Of course, the user can just click on to view all results - but that could potentially hurt traffic if they decide to click off entirely. However, I believe that the bigger concern for marketers surrounding this update is not the immediate effects, but the bigger question of what’s to come down the line: where does it end? Many are calling this update a “slippery slope” for the future of SEO. If they’re rolling out zero results for basic searches, will Google start adopting this feature for direct questions that we’re trying to help answer with our on-site content? Where will they draw the line? Despite the uproar from critics, this does not mean that SEO is dead. However, that doesn’t mean that it’s not evolving. As with any SEO update, it’s important for marketers to be mindful of the changes and how they can affect your performance in Google. 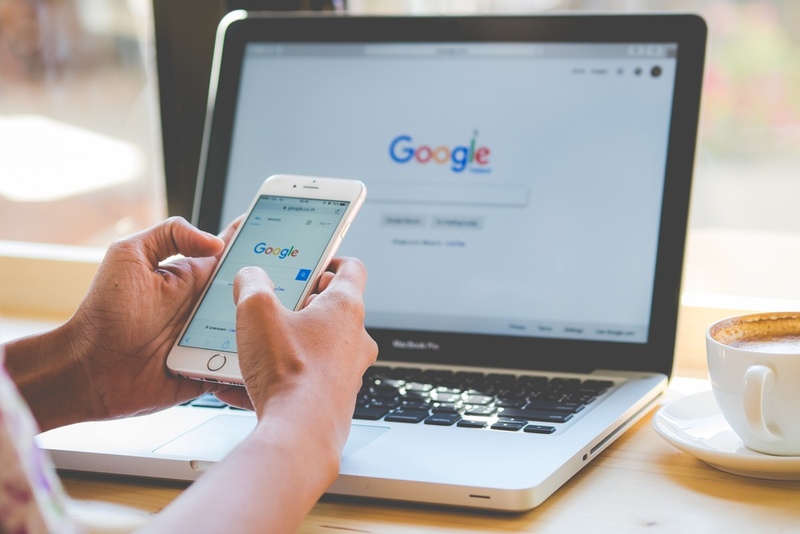 With all of the technological advancements in the past few years, the modern consumer wants to find what they’re looking for fast - and Google is simply trying to cater to that need with this update. As frustrating as it can be to keep up, if Google did not make updates like this to meet consumer demand, it likely would not be the top search engine that it is today. Rather than fight this change, marketers need to take a lesson from Google and think about how they can adapt their own strategy to meet the demands of the modern consumer. SEO isn’t about memorizing and following algorithm changes. Those will always change. Google’s updates have always been centered around what’s best for the user, what’s the most valuable web page that answers the question the user is asking, that has a low bounce rate, and other users have explored further down the page after arriving. If we continue to create helpful, engaging content and a great user experience on our website, we’ll be rewarded for those efforts - it’s just a matter of staying vigilant.